U.S. Ambassador to Yemen Matthew Tueller on Thursday blamed the Iran-backed Houthi insurgency for deliberately stalling implementation of a peace deal brokered by the United Nations. Specifically, he said the Houthis are delaying troop withdrawal from the key port city of Hodeidah. Tueller said the United States is “greatly frustrated” by the delays, but he has “not given up hope” that the Hodeidah peace plan will eventually be implemented. “We are willing to work with others in order to try to implement these agreements and see whether the Houthis can, in fact, demonstrate political maturity and start to serve the interests of Yemen rather than acting on behalf of those who seek to weaken and destroy Yemen,” he said. De-escalation in Hodeidah is seen as key to achieving a diplomatic resolution to the brutal Yemeni civil war. U.N. representatives have previously criticized the Houthis for refusing to move their troops out of the Hodeidah and the nearby ports of Saleef and Ras Isa as the first stage of a two-part pullback plan. Yemeni government forces and the Saudi-led coalition backing them are in position to attack Hodeidah, but a battle there would be utterly devastating since 70 percent of goods shipped into Yemen pass through the port. Nationwide famine would likely be the result if the port is shut down. U.N. representatives complain large amounts of food shipped by humanitarian organizations are already rotting in storage at the besieged port city. The Houthis are reluctant to back away from Hodeidah because it is one of the most valuable assets they control in Yemen, and they fear their supply lines will be cut if they lose access to the port. 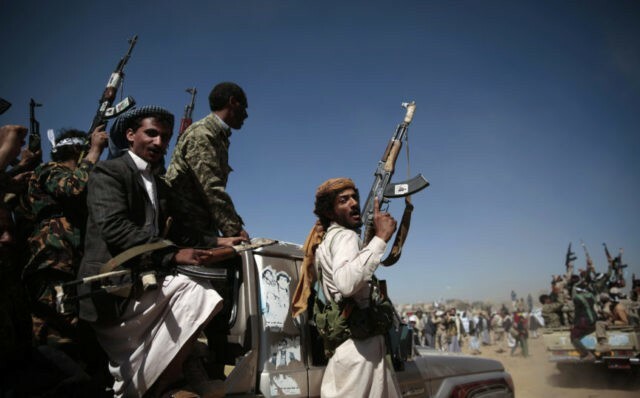 Tueller said the Houthis are also using their access to the Red Sea to import weapons from Iran, a charge repeated by the internationally recognized government of Yemen. “The fact that there are groups that have weapons, including heavy weapons and even weapons that can threaten neighboring countries, and those weapons are not under the control of the institutions of the state – this is a severe danger to the region as well as to Yemen,” said Tueller. He indicated that not all of these armed groups are aligned with the Houthis. The Houthis claim the U.N.-brokered pullout agreement reached in Sweden has been altered by the Yemeni government and its allies, making it “impossible” for their forces to withdraw from Hodeidah. A spokesman for the Yemeni government lashed back against the Houthi claims on Wednesday, accusing the insurgents of plotting further militant attacks from Hodeidah and effectively re-declaring war.